12 pm Loreen Legion...You know that special dessert...the one one with just the right blend of sweet and spice and every taste is so rich and warm that it reminds you to be happy to be alive........that is Loreen Legion. 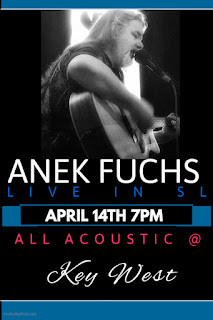 This sweet singing, golden throated songstress will surprise you with her guitar, seducing you with her voice, and making you beg for mercy! 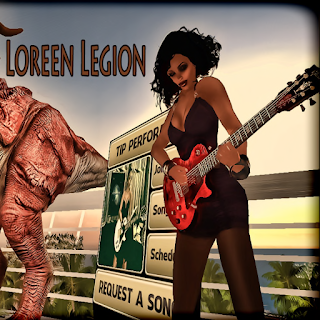 Loreen Legion plays in sl between real life gigs and will rock you out or make you cry.. and anywhere in between. You will want to make a point of coming! Bring your friends! Trickster's Sounds ..FUN, FRIENDS and FABULOUS MUSIC.